Magnetic resonance spectroscopies provide insight in many areas of research including information on biomolecular structure, interactions and functional pathways. These fast-developing technology fields may offer new approaches to further your work. Take a look at the European initiatives providing biological NMR and EPR access which best fits your research and exploit these techniques with the support of the best experts in these fields. 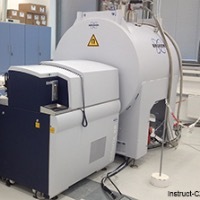 Apply to access the best magnetic resonance platforms in Europe through this joint call by Instruct-ERIC for integrated structural biology and EuroBioNMR for the other scientific domains such as bio-materials, food chemistry, and metabolomics, the latter with the expert support of EXCEMET. The next deadline for proposal submission is October 15th 2018. Proposal will be selected via a scientific peer review process. Academic, SMEs and industries can submit applications. Financial support might be available for open access and/or collaborative projects and it varies depending on the specific access route. This Open Call is coordinated by Instruct-ULTRA, to expand the use of NMR methods to new communities and to develop collaboration and synergy across Europe.